I'm trying to import .wmf files, but they import inverted, upside down, and appear as only a very tiny object on the page. 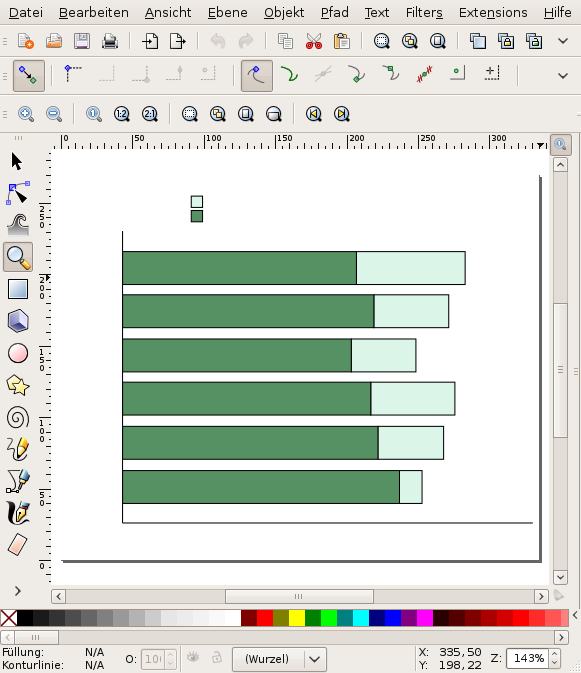 I'm using Inkscape 0.46 with Windows XP Professional. Current version of Inkscape imports as described in attached screenshot. Problem still exists in InkScape 0.46 + devel 22040 (0.47). See the two files above this comment. committed to bzr rev 10063. Added support for round rectangle, and some changes in default text color and an overflow problem with rotated text. New version of imported file AD-KzK2-BusinessProcess.wmf attached. In order to use this modification, you'll need to use the file import type that says "Windows Metafiles", not "Windows Metafile"